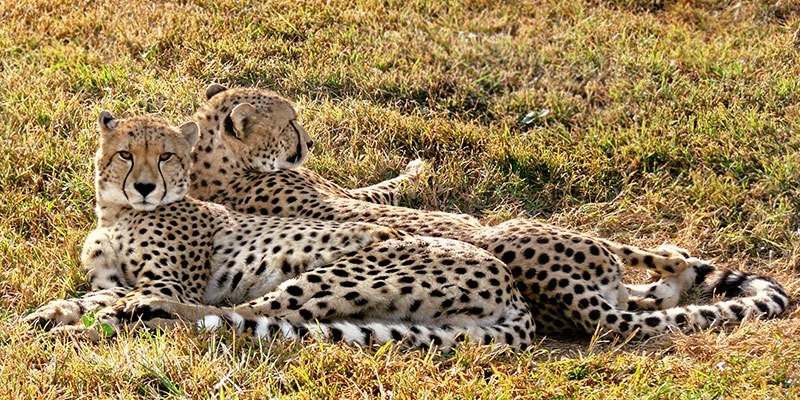 The local area offers a myriad of exciting activities including the ‘Big 5’ Hluhluwe Game Reserve, Emdoneni Cat Rehabilitation Centre, Duma-zulu Cultural Village, a crocodile farm, birdwatching, whale watching (in season), freshwater and deep-sea fishing, beach visits to Sodwana and St. Lucia, a traditional craft market and Ilala Weavers, the St. Lucia World Heritage Site and boat trips on Lake St. Lucia. We can organise all these activities for you, as well as transfers to and from the activities. You will be awakened at first light with a wakeup call from your ranger to a beautiful morning chorus as the birds welcome a new day. After a cup of tea or coffee the adventure starts as you head off to the Game Park in our state-of-the-art open Game viewer to seek out the wonders of the bush. Your qualified ranger, with all his bush skills and senses fine-tuned to the environment, will strive to track down a vast array of wildlife in the area. A short stop in the bush to stretch your legs and enjoy refreshments allows you time to digest the soothing peace and tranquility the park has to offer. You then return to the Lodge mid-morning to indulge in a delicious breakfast. 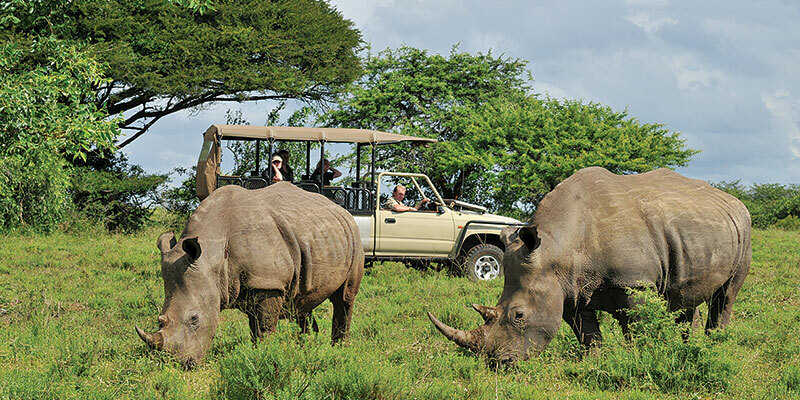 Witness a diverse collection of indigenous fauna and flora along with traditional Zulu culture and wildlife. Zulu Croc is more than just a reptile park, it is an educational adventure. Witness hands on demonstrations and an educational presentation of the most feared reptile – snakes. From the snakes you are taken to safe and spacious crocodile enclosures. Watch the guide interact with the amazing creatures, of which some are over 40 years old, and listen as he shares his knowledge and experiences. An up close and personal tour to learn more about South Africa’s endangered wild cat species, with interaction with tame cats. Be mesmerized by the beauty of the Caracal (Lynx), enchanted by the playful Serval, astonished by the speed and agility of the Cheetah and delighted by the African Wildcat. View and photograph these amazing animals during the daily educational tour with an informative talk about the animals and the project by an experienced guide. Please arrange to arrive at least 10 minutes before the start of a tour. Explore and learn about the wonderful traditions of Zulu culture, how they weave baskets and create different arts, watch performances of Zulu dancing and get the chance to meet the local witch doctor. Enjoy an up close and personal meeting with habituated elephants. Knowledgeable rangers will talk you through their history and provide you with interesting facts about elephants. 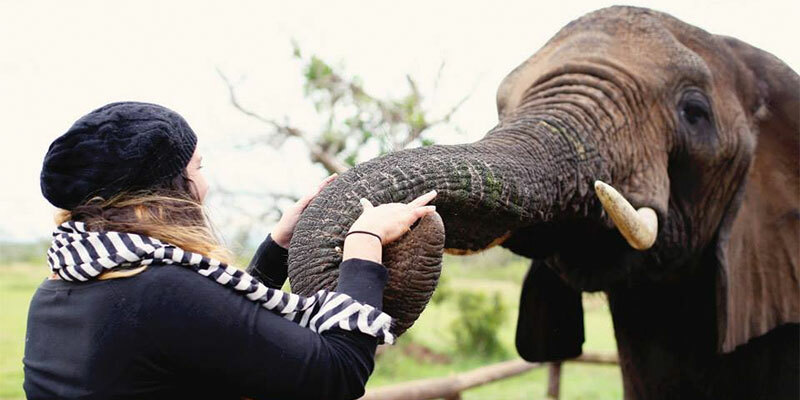 You will be given the opportunity to feed as well as touch the elephant’s ears, behind his tusks, between his front legs, and even get to feel his tongue! Please book ahead to avoid disappointment. Take a guided walk of about 7km through sand dunes, forests and grassy fields, viewing a variety of different antelope species and the prolific birdlife for which the area is well known, including some rare, seldom seen species. 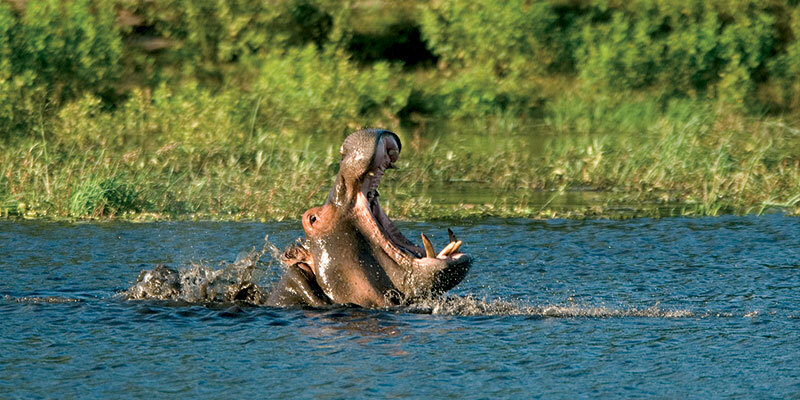 A leisurely cruise on the St Lucia wetlands, a World Heritage Site, which affords glimpses of crocodiles and hippos as well as the prolific bird life along the river banks. Whether your choice is a morning cruise or the ever-popular sundowner booze cruise, this is a wild life experience not to be missed. The beautiful unspoiled beaches, some of the best on the coastline, are great for snorkeling, scuba diving and game fishing. 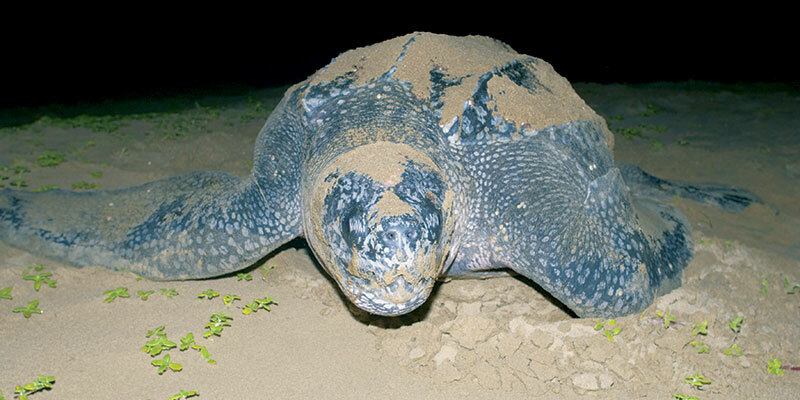 Turtle viewing can be enjoyed in season (November – February).